Science-fiction author Frederik Pohl died last year after a long and legendary career, and one of his greatest novels, Gateway, now appears to be headed to the small screen. 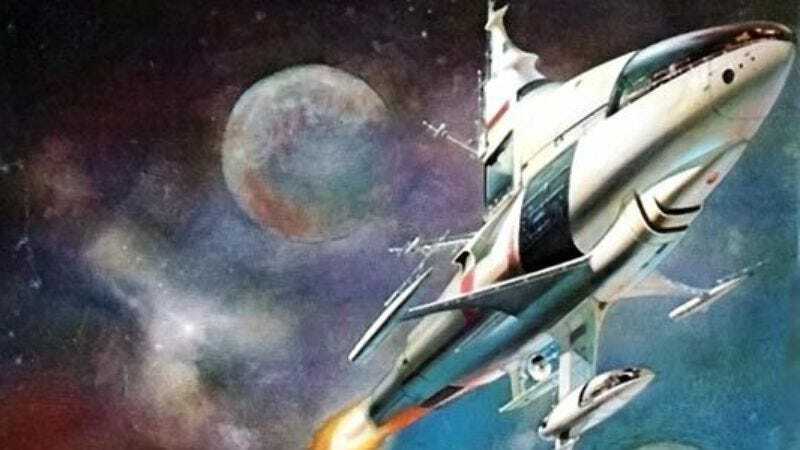 Deadline reports that Gateway—which was published in 1977 and kicked off Pohl’s sprawling space-opera series The Heechee Saga (also known as The Annals Of The Heechee)—is being developed by Entertainment One Television and De Laurentiis Company. Writers are being looked for and showrunners are being considered. The novel is set in the future on an alien space station, where humans must learn to decipher the technology left by the absentee race the Heechee. It’s a rich framework that devotes plenty of room to both world- and character-building, and mysteries abound—all perfect fuel for a television adaptation. In theory. What De Laurentiis (along with David Lynch) did with Frank Herbert’s Dune may have happened 30 years ago, but it’s sure to cause a little apprehension among those who have been cultishly reading Heechee for decades. But hey, this is The Golden Age Of TV and The Golden Age Of Geek, right? What could go wrong?